There are many myths and untruths about feeding captive ball pythons. 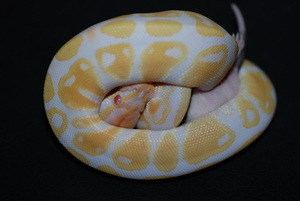 A very common question or plea on just about every snake forum is “help, my ball python is not feeding” or “my snake was feeding and has nowstopped”. Much advice that is offered is simply not helpful. Hopefully this guide will help you understand the what, how and when of feeding your ball python and improve your snake keeping experience. Firstly, you need to understand that most snakes will eat when they are happy and hungry. Snakes are not robots and unlike mammals they don’t always feed on demand. It’s very common for all snakes, particularly ball pythons to fast and go without food by simply stopping to feed for a while. This is natural and needs to be expected. Ball pythons in particular can often be described as binge feeders. That is they will eat well for weeks or several months, then they will stop feeding. If you have not experienced this before, it can cause a lot of concern. Another very important point in feeding ball pythons is there is not a one size fits all approach. Snakes, like people are individuals and have slightly particular feeding habits. If you have more than one snake, it’s important to understand their individual feeding preferences, behaviors and habits. So if your snake is not feeding, don’t stress. Force or assist feeding should always be a last resort. As has been mentioned, ball pythons can go without food for weeks or months at a time. This has given them a reputation as picky eaters. In some cases this can be true. If however, all the environmental factors are correct, they are then mostly doing what many ball python do, binge feeding and fasting. As already pointed out, ball pythons can and will stop feeding at some point during the year. Missing several meals is not a problem. Ball pythons stop feeding for a variety of reasons. Any one or a number of these reasons is enough to cause a ball python to skip one or more meals or even to go into an extended fast. Ball pythons occur naturally in West and Central Africa. Their average day time temperature across their natural habit averages around 86 degrees F (30 degrees C). Nighttime will see a drop of several degrees. In captivity is important to replicate these temperatures. 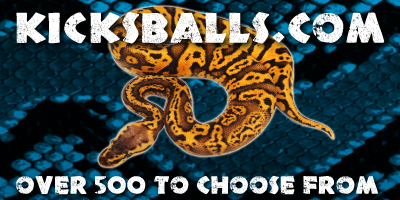 Ball pythons do very well with an ambient temperature of 82 – 84F (27 – 28C) and with a hot spot of 86 -88F (30-32C). A common problem with captive ball pythons is that they are kept too cold. The hot spot may be fine, however if the ambient cage temperature is below 78F (25C) it’s too cold and will affect their feeding habits. Likewise a cage can be too hot. Ball pythons are not a desert species. If your snake is always sitting inthe cool part of the cage, it’s a good indication the cage is too hot. In the wild ball pythons spend most of the daylight hours either in an underground rodent or similar burrow or even tucked inside a termite hill. In captivity it’s important to provide a hide box (or multiplehides) so your ball python will feel secure. As ball pythons are nocturnal it’s also a good idea not to disturb them too much during the day. Just as you don’t like to be pulled out of bed in the middle of he night, they don’t like to be pulled out of their cages in the middle of the day. Yes, of course you canhandle them during the day but just don’t do it all the time, especially if they are a picky feeder. Additionally having your snake’s cage in a high traffic area in your house will also result in a stressed snake that will go off its food. Try moving them to a quieter spot so they are less disturbed. Be awarethough, moving a ball python from one area to another or to a new cage can also put them off food for a while. Many ball pythons have a food preference. Some will be fixed on mice while other only eat rats. If you are lucky your ball python will eat both (as they would in the wild). Offering a food type your snake doesn’t recognize will result in it not feeding. If you have to switch from one type of food to another, try scenting to fool your snake. If you want to switch say from to rats and your ball python is fixed on mice, try rubbing a dead mouse or mouse bedding on the rat before offering it. This often does the trick, in time the snake should switch without scenting. Scenting with multimammate mice is often good to get reluctant feeders going. Many keepers often make the mistake of keeping their young ball python in a cage that is way too large for them. I know keepers who believe a large cage stresses out a baby ball python. I think it’s more a case of in a large cage you snake may not find its food. We keep all our baby ball pythons in Vision hatchling racks, moving up to medium sized racks and then onto V70 adult racks as they grow. Likewise, you need to start off with a smaller tub for babies, moving them to larger cages when they are ready. 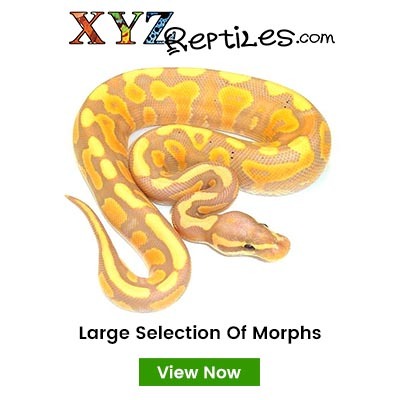 Most reptile pet stores should offer a full range of specialist snake cages. Note, fish tanks are designed for fish and not snakes and are too exposed for most ball pythons. Reptile vivariums on the other hand with only glass at the front with the top, back and side solid. This makes a much better choice and ensure you snake feels more secure. Most, but not all ball pythons will go off their food while they are getting ready to shed. This is normal. Some ball pythons however can be so accustomed to feeding that they will still take food if offered tothem while in shed. This is not a good practice. If their dry shed skin rolls down their bodies and gets caught up on the food item in their belly you can have a problem. If this were to go unnoticed the dry tight skin roll around them could damage your snake. Wait until they have shed and then feed them. Another reason for snakes not feeding could be that they are sick. Ball pythons if kept at the incorrect temperature or in a too dry environment can develop a respiratory infection. Most snakes will stop feeding if they are unwell. If you notice any symptoms of sickness in your ball python, take it to an exotic pet or herp vet to get checked out. Both male and female ball pythons will often go off their food during part of the breeding season every year. This is normal. Breeding males stop feeding for anything from two to five months while breeding or simply if they can smell breed able females. Females likewise will go off food at the start of the breeding season. Like most things to do with snakes, there are exceptions and some may continue to eat when they are gravid. In the later stages of their pregnancy, after they have ovulated don’t expect them to have much interest in food. Additionally, after laying eggs, if they haven’t been properly washed and they can still smell their eggs they will often continue to fast. Ball pythons eat mostly rodents. In the wild they will feed on any small rodent they can catch and overpower. They will probably also eat small nesting birds if they come across them. In captivity ball pythons can spend their entire lives feeding on either mice or rats. They will however also eat gerbils, multimammate mice, hamsters, and other small exotic breeds of mice. The vast majority however are happy to munch down domestic bred rodents. You will find ball pythons that will only eat mice while others will prefer rats. Some however will eat both. Many keepers swear they only feed rats but that doesn’t always work. That may be your preference but if it’s not your snake’s there is no problem feeding a ball python on mice for its entire life, if that’s what it wants. We have adult ball pythons that eat both. If you are buying a snake from a breeder or herp pet store, find out what and how they were being fed. In the United States many larger breeders feed exclusively on live food. That can be a problem if you live in a country where it is illegal to feed life food, or if you only have access to frozen rodents. If your local pet store doesn’t sell frozen rodents, there are many online stores that do. Most ball pythons are very timid animals. Yes, they may crawl around and seem fine when you handle them, but when it comes to feeding time it’s very easy to stress them out. There are however some tips of the trade toget them feeding more consistently. In the wild, ball pythons are nocturnal creatures resting up in the heat of the day and only venturing out after dark. In captivity it’s simply easier to feed them at night with as little light on as possible (if you are worried about falling over the furniture, try a blue or dim light in the background). Be sure to use feeding forceps (or hemostats) and not your hands to feed your snakes! (Forget about the idiots you see on YouTube feeding by hand!) After a very short time you should start to understand the different ways in which most of your snakes like to get fed. Some will come straight out when you open their cage looking for food; others will wait in the hide boxes for you to dangle their food in the opening before striking. Still for others, you might need to simply lay their food in front of their hide and leave it there. I have many adult ball pythons who will feed if their food is left overnight. Again remember feeding is not a one size fits all approach. It’s up to you to learn what works and stick with it. Patience is a prerequisite. 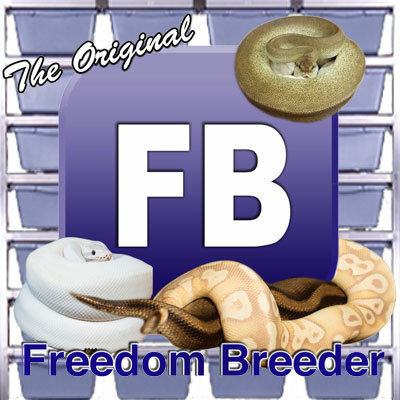 One area that draws the most questions when it comes to feeding ball python is “how to get babies to feed”. Like anything else it’s not difficult when you know how. Many breeders start their hatchlings feeding on either live rat pups or mouse hoppers. They simply put the young rodent in the cage and leave the snake to feed. If this is legal in your state or country it’s a good way to start them off. If the baby ball python doesn’t feed, simply take the food item out and try again a few days later. If you have to or would prefer to feed a defrosted mouse hopper or rat pinkie, you will need to warm them up so the baby ball python thinks it’s alive. I use a heat box (heat mat in an insulated box) as that works well. Be careful if you use a microwave as you can easily get rodent guts exploded all over the place from overheating! (Small food items get warm very quickly in a microwave). Some breeders warm their snake food in warm water, that’s always looked too messy for me, however it works for others. Once the food rodent is warm, move it slowly in front of your baby ball python. Your objective is to get a feeding response or strike. Be careful not to tap the snake on the nose as most ball pythons are head shy (although some breeders do this and it works for them). If they don’t grab the food, you can try bumping them on their tail or side to get their attention. This works for some hatchlings. If that still doesn’t work, you can try leaving the mouse hopper/ rat pinkie in the opening to their house. Once left alone undisturbed many baby ball pythons will often eat in the dark. Try a smaller food item. The correct sized rodent should leave a small bump in the snake’s stomach, and not make it look like a stuffed sausage. * Never leave a live sub adult or adult rodent in with your snake for any length of time or without some food. Adult rats can easily kill a timid ball python. Only feed live rodents where it is legal to do so. Hopefully, this should help you with any ball python feeding issues. If not your first port of call should always be the breeder or person who sold you the snake. Caring for snakes is as much an art as it is a science. It requires patience and learning what works.